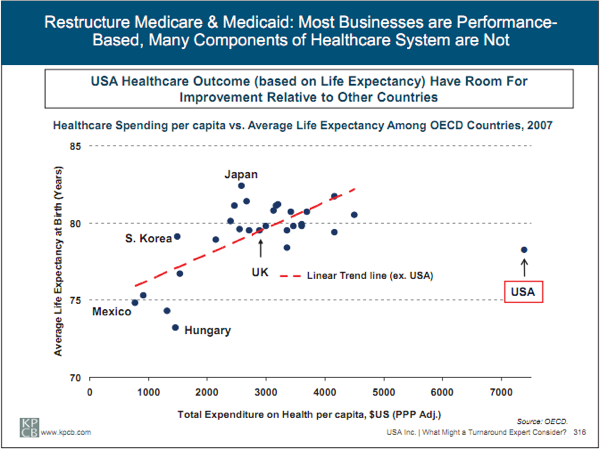 America spends far more than any other nation in the world on healthcare and yet has the health outcomes of a nation like Cuba. What is going on? If you live in Louisiana you are much more likely to be ill and die young than if you live in one of the poorest states in the union Vermont. Why is this? The quick answer is that Some nations and some states have a better social environment than others and it is this factor that has such an influence on our health. What is “better”? Better is a better fit with the social environment that we evolved to thrive in for millions of years before agriculture. In Vermont there is much more Social Capital than say in Louisiana. There is much stronger community. There is a smaller gap between rich and poor. (Robert Putnam is the key researcher into this field of how Social Capital affects many outcomes – crime – learning are also affected by the relative amount of social capital. And this by the overall culture. LA has a very traditional authoritarian culture of the Big Man and the dependents – Vermont is much more Yankee with strong feelings of community of mutual help and self sufficiency. So even though Vermont is poor, there is a much greater feeling of being in control and valued. Vermont could make it without the Union, Louisiana could not. The social culture is the key. We do less well in social cultures that are top down and authoritarian than we do in cultures that fit more closely our tribal heritage of a community model. We need to have a voice and we need to be known and valued. We need to have a real role. When we have none of these factors we live in a culture that does not fit and we get ill.
Social Status is a factor in states as well. 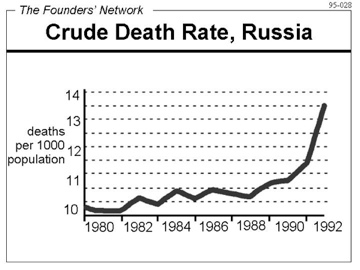 Look at the death rates in Russia after the fall of the Soviet Union. What happened? What happened was that the fall in National Status affected men who also felt their own status in the world fall. We see the opposite in countries like Poland whose felt that their control and status improved when they became free. See where we are going? So let’s look at the mechanism. Those at the bottom have a 4 times greater chance of dying early than the hard driving folks on the left. 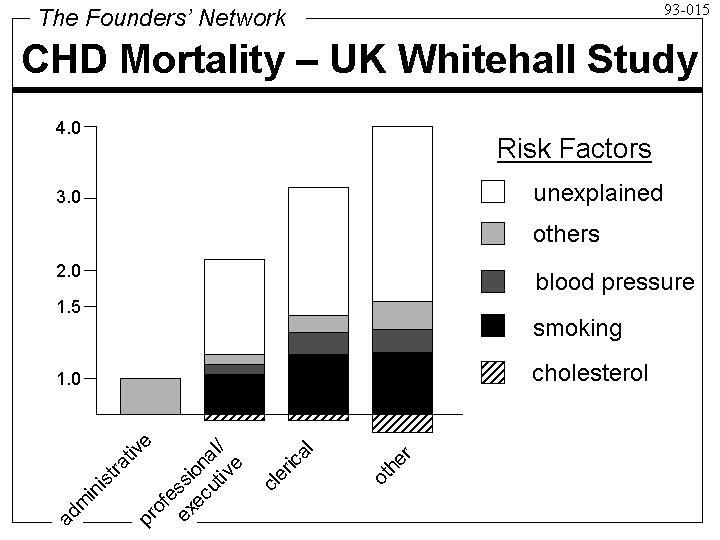 But their conventional risk factors are not 4 times worse. What is going on that makes them so much less healthy? The answer is that this group have the least amount of control and the least amount of status. This drives a constant stress load. This is in turn releases the hormone Cortisol into the body – the hormone that enables you to shut down all your systems not needed to out run the lion. You want cortisol in a real crisis. But not as a constant. As a contant, Cortisol attacks your body and your immune system. Here is Dr Robert Saplosky explaining this in summary and here he is explaining this in depth. So just as the modern world has pulled us away from our ideal diet, so it pulls us away from our ideal social setting. Just as the industrial diet now is everywhere, so the industrial culture is too. 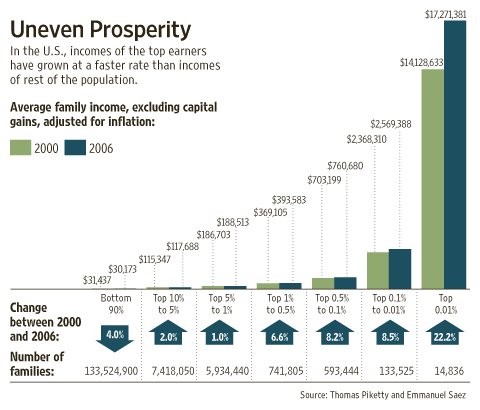 As a result, the gap between the haves and the have nots is more extreme than ever. Even well off functionaries in the system serve at the pleasure of the big man. Nearly all of us have lost control and status. This widening gap will have a huge impact on health in America. We depend on the system for everything and most of us have no idea of what it may be like to be self sufficient. For true esteem comes not from freely given praise but from earned respect. So I think that the way home to a culture that fits us best and that will give us our best health is not to be found in overthrowing the system. It comes from remembering the successful strategies of those that over threw the great powers such as Gandhi in India and Havel in the Czech Republic. They won by creating a better alternative to the super power. Freedom, real status and real control is something that we earn for ourselves. It is in our own power to find. That is why in later posts we will look at how we can do this in our own work. But next, we have to look at the central social organization that we all rely on and that shapes us all. We will look at the Family and find out that it too has exactly the same dynamics and forces as the state and the nation.